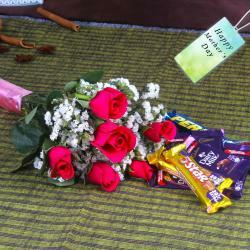 Product Consist : 50 Red Roses Bouquet along with 16 Pcs of Ferrero Rocher Chocolate. Mother's Day is a celebration honoring the mother of the family. Picked fresh from the farm to offer your special recipient a bouquet blushing with an unforgettable grace, the Sweet Emotions hamper is set to bring a soft beauty straight to their door. 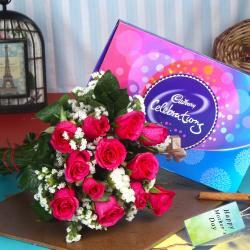 Win mom over with a amazing chocolate gift in this Mother' Day. If it' features a huge numbers of chocolates pack then it can be enjoyed number of times so she won't get bored. All children's are awaiting for this day they are much excited to send the gift with special attachment. 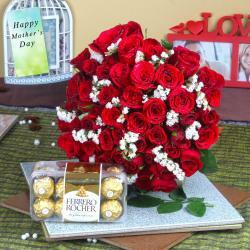 Trust us while receiving this beautiful choice hamper she will be proud to be your Mother. 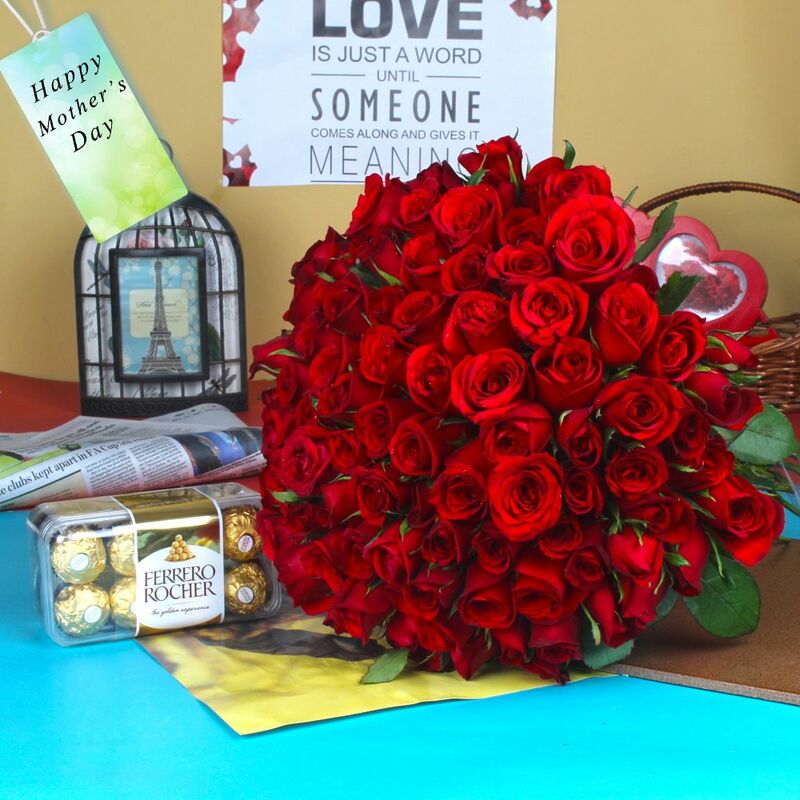 Giftacrossindia.com brings to you this awesome gift items like Ferrero Rocher Chocolate Red Roses for Mothers Day, which is all set to make your Mom to feel more special. 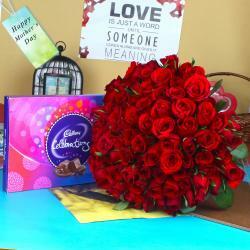 Product Includes : Product Consist : 50 Red Roses Bouquet along with 16 Pcs of Ferrero Rocher Chocolate.